Did you know that Argentina, Bolivia and Chile share a region with stunning scenery high canyons, lagoons, salt flats and geysers? We offer to discover the highlights of those 3 countries in 15 days. 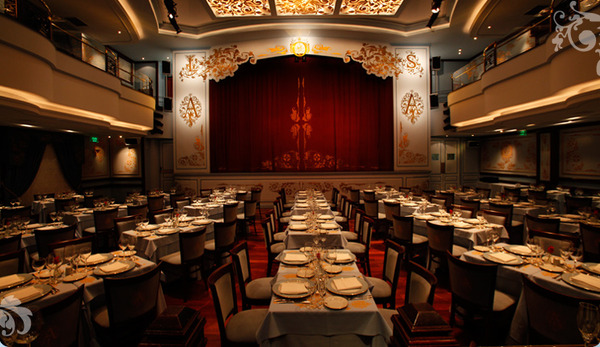 This trip starts and ends in Buenos Aires, where we can enjoy the cuisine and culture of tango. 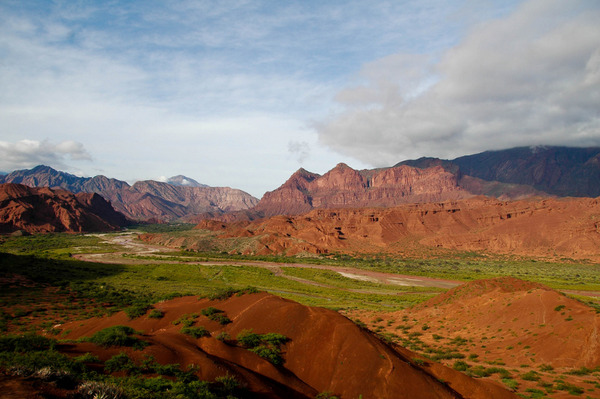 In Argentina we know the various rainbows ravines of the region of Salta and follow the tracks of the famous Train to the Clouds. We visit various pre-Inca cultures villages. In Bolivia, we enjoy an exciting day cycling and horseriding in the region of Tupiza and spend an entire day on the world's largest desert salt : Salar de Uyuni (3,650 m). We cross in two days the Sud Lipez region with a high altitude (3600-4750 m) where we admire many lagoons, beautiful landscapes : Siloli Desert, the famous Stone Tree and the geysers Sol de Mañana. 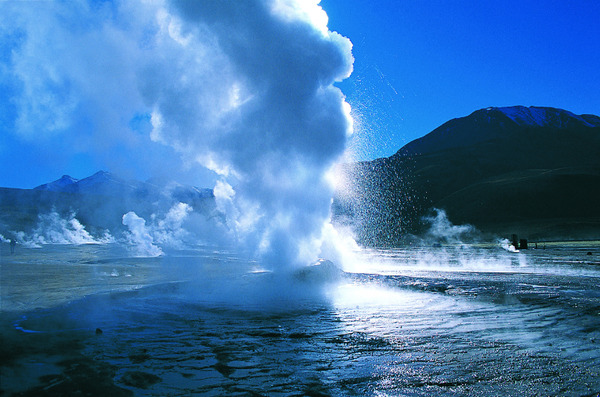 In Chile, we spend two nights in the pleasant town of San Pedro de Atacama and visit the geysers of Tatio and the Moon Valley. Night at the Sileo Hotel in standard room. 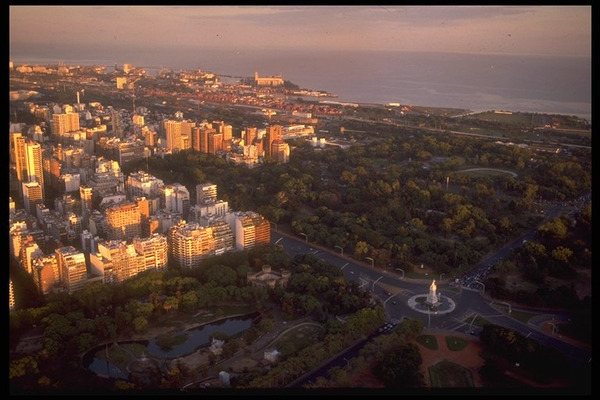 Transfer from the hotel to the Buenos Aires Domestic Airport in a private vehicle. Welcoming at Salta's Airport and transfer to the hotel in private vehicle. Half day (morning or afternoon) dedicated to the visit of the city with an english speaking guide in a private vehicle. 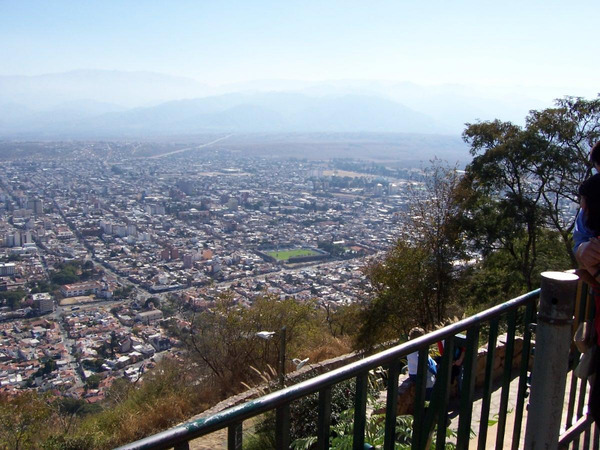 Salta is the capital city of the province of the same name and it is located at 1,187 masl, at the foot of Mount San Bernardo. The city was founded on April 16th 1582 by Hernando de Lerma. Both colonial-style houses and modern buildings coexist harmoniously. 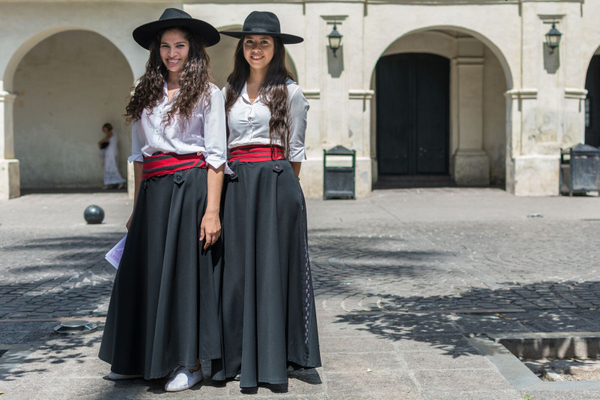 Out of all the historical buildings, you visit the cathedral, built in the nineteenth century, the San Bernardo convent and the Cabildo, which houses the picturesque historical museum of the northern region of Argentina. Visit to the very recent and interesting MAAM museum (Museo Archeologia de Alta Montaña or High Mountain Archaeological Museum) which exhibits several mummies discovered at an altitude of over 6,000 meters. Note: MAAM closed on mondays. Night at the Delvino Boutique Hotel in standard room. Departure to Cachi, located at 2200masl, at 157km from Salta. 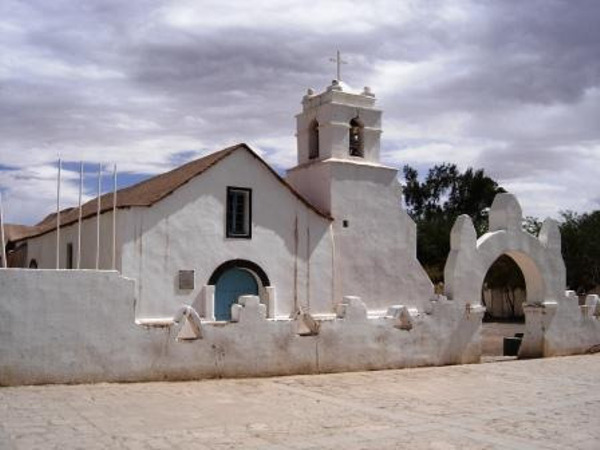 Cachi is a tranquil native village featuring low-whitewashed houses and the San José Church with its sculpted roof of cactus-wood dating back to the eighteenth century. We visit the small archaeological museum which has a wonderful collection of pre-Inca and Inca ceramics, especially those pertaining to the Santa María culture. We will get back to the vehicles for a 6km excursion to Cachi Adentro. 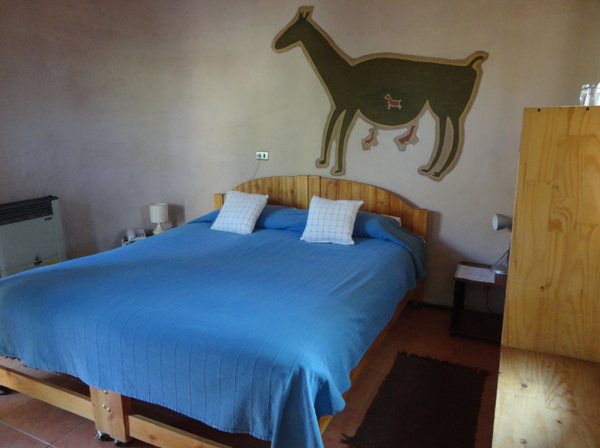 We return to Cachi and spend the night in a hotel. Night at the El Cortijo Boutique Hotel in standard room. 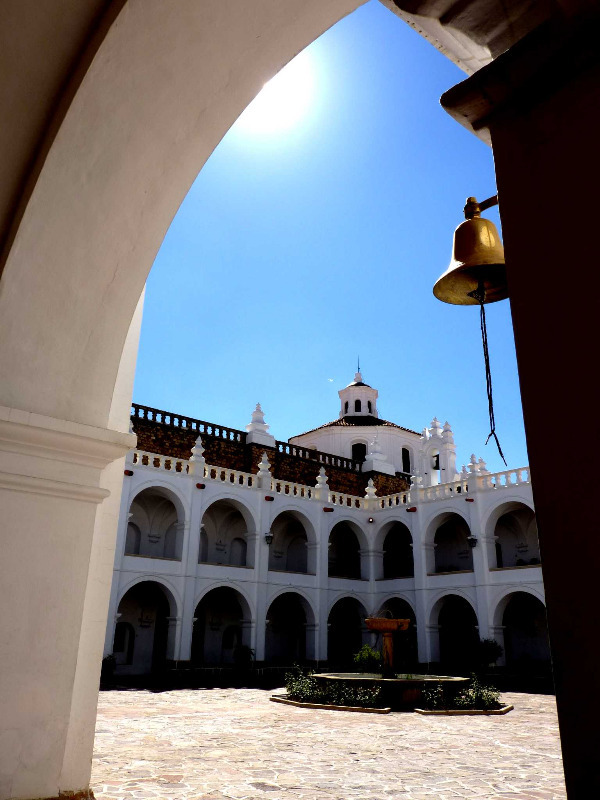 Departure by private vehicle to reach the small town of Molinos, dating from 1659; there is a church, probably erected in the late eighteenth century, by the last royal governor of Salta, Don Nicolás Severo of Isasmendi, buried there. 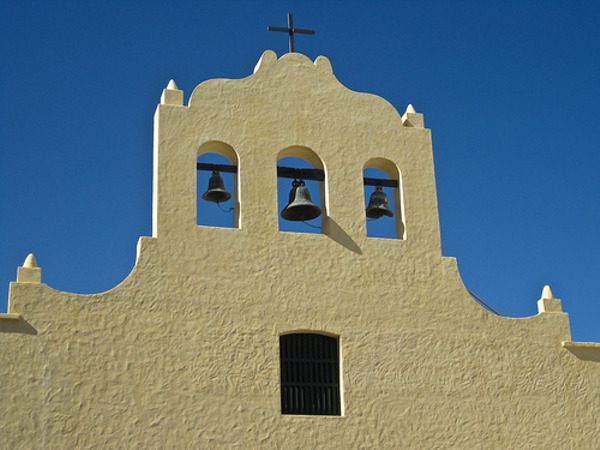 Around this chapel, is where the town of Molinos grew. 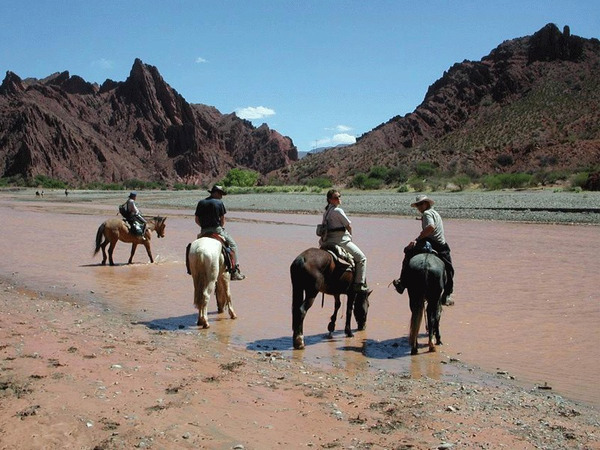 You cross the majestic "Quebrada de las Flechas" surrounded by a mysterious moonscape. White dunes announce the nearness of Cafayate, the largest city in the valley of Calchaquies, whose economy relies on the wine industry. Wine tasting in the evening. Night at the Killa Cafayate in standard room. 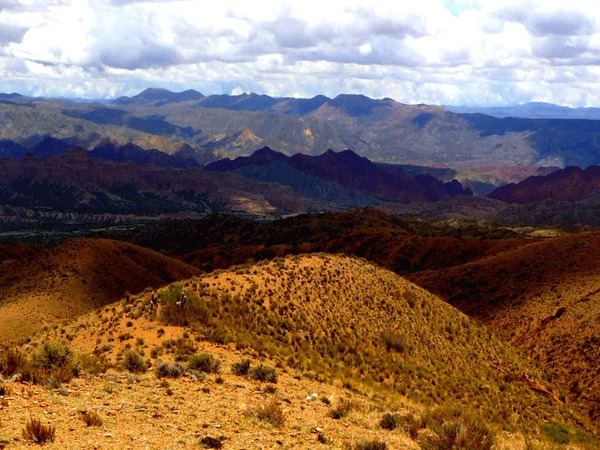 This morning, we travel to Salta through the “Quebrada de las Conchas” which undoubtedly offers the visitor one of the most spectacular landscapes in the Northwest of Argentina, with its imposing semi-desert mountains featuring multi-colored rock formations sculpted by erosion. A century-old sight conceived by nature for our benefit! Note: a 191km (119mi) trip lasting approximately 2h20 minutes. We ride in a private vehicle along the railway tracks of the famous “Tren de las Nubes” and head first for Salinas Grandes and then for Purmamarca. We leave Salta (1,200 masl) and after a 166km (104mi) ride, we arrive in San Antonio de los Cobres at 3,774 masl. But first we visit Santa Rosa de Tastil (3,200 masl) and the pre-Inca site which dates back to the thirteenth and fourteenth centuries AD (a half-hour walk, approximately). Later, we stop in San Antonio de los Cobres. Surrounded by mountains with virtually no vegetation, this wind swept village and its low buildings give an impression of remoteness. We visit the small museum dedicated to the highest railway-track in the world. Countless pictures describe its construction in the 1930s: what a saga! As we follow our road, we reach a vast white expanse of land which contrasts against the pure blue of the sky. We are now in the very midst of one of the largest salt deserts in Argentina (1,200 sq. 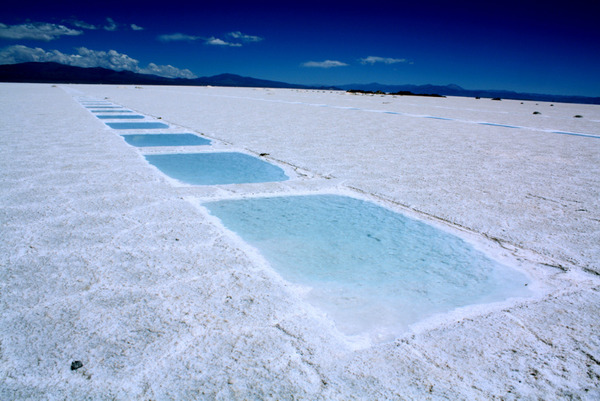 km), Salinas Grandes. As we drive along a winding dirt track for a few miles, we reach the Lipán Mountain Pass, located at 4,170 masl and later the last stop of the day’s tour: Purmamarca, “the Holy Land” in Aymara language. This little town is renowned for its seven-colored mountain, “Cerro de los Siete Colores”, a mineral rainbow. Note 1: a 347km (216mi) trip with some delicate mountain tracks lasting approximately 6h30 min. 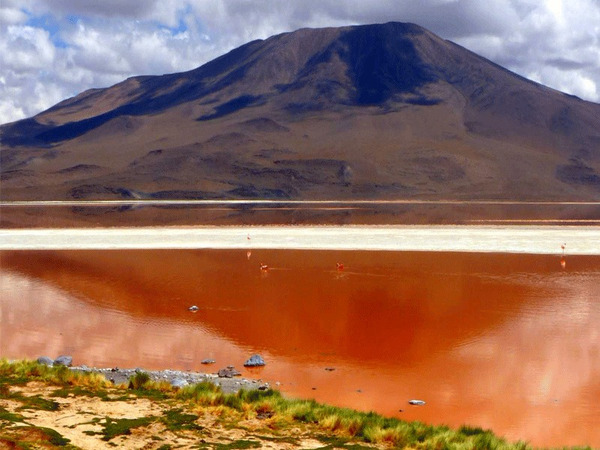 Note 2: during the rainy season, between November and March, the access to the Salinas Grandes might become virtually impossible. Night at Los Colorados Cabanas Boutique in Superior Bungalow. 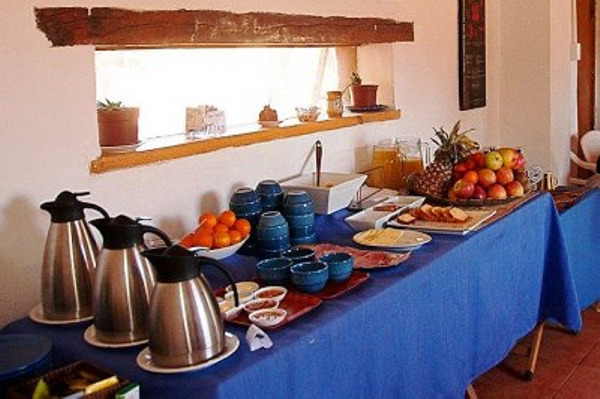 A quiet day-start to enjoy the "Cerro de los 7 colores" and the village of Purmamarca. Departure by private vehicle to hit the Andean road, arriving after twenty kilometres to Pucará Tilcara, a pre-Hispanic Omaguaca village founded over 900 years ago. We visit the village and the remarkable collection housed in its museum including mummies, funeral vases, jewellery and other objects found in archaeological sites in the Northwest of Argentina. We continue north to Humahuaca, located at 2940masl, one of the most important trade centres in times of the Vice Regency of Peru. 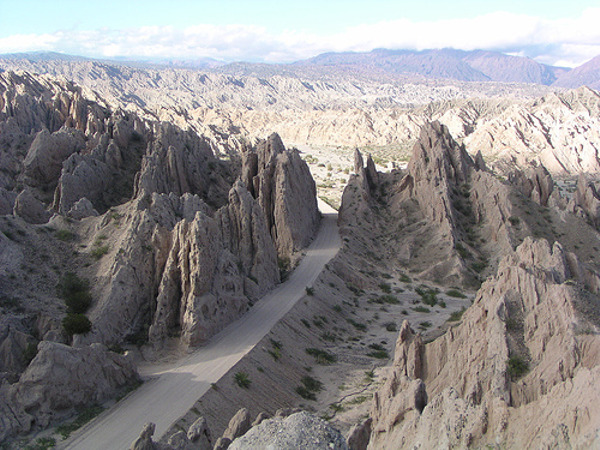 We pass through Abra Pampa and reach finally La Quiaca, next to the Argentine – Bolivian border. Domestic flight Buenos Aires* - Salta. ﻿*National o international airport depending on time schedule and availability. Domestic flight Salta - Buenos Aires*. *National o international airport depending on time schedule and availability. 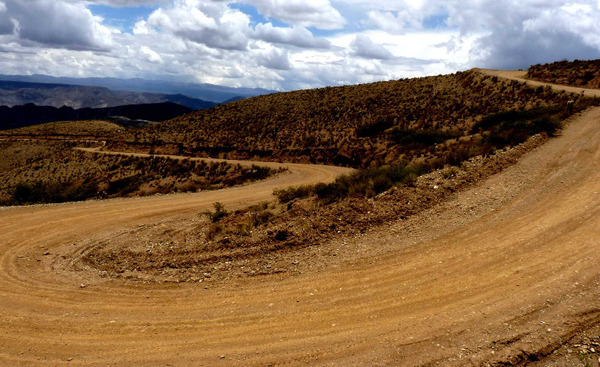 We meet our 4WD at the Argentinean – Bolivia border. Transfer to the pleasant town of Tupiza (3 hours on a dirt road). Now we have to return to the Altiplano. We head north to cross the entire Colcha Pampa, where only ghosts seem to be accompanying us. (6 to 7-hour on dirt tracks). Cold lunch (included). Dinner open (bar-restaurant La Loco recommended). Hotel. In the morning, we visit the train cemetery on the outskirts of town. We then head with our 4WD for the Salar de Uyuni (el. 3650 m.a.s.l. ), the world’s largest salt desert. On the way, we visit the salt exploitation of Colchani and the Salt Hotels (closed since November 2001). We then stop in the heart of the Salar on the Island of Incahuasi. This island is of volcanic origin and covered with stromatolites and giant cacti (Stomatolites are fossilized bacterial colonies, first traces of life on earth). In the afternoon, we head south towards the village of San Juan. 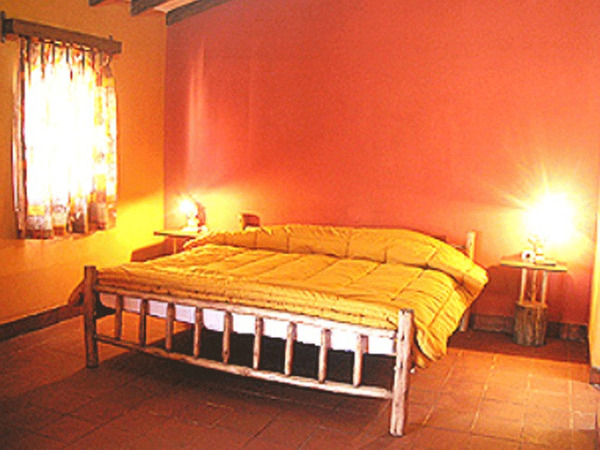 Night at La Cabaña de Sal hostel* (basic comfort). After leaving San Juan, we cross the Salar de Chiguana. From there, the dirt road climbs from 3600 m to about 4200 m of altitude. We pass at the foot of volcanoes Tomasamil (el. 5900 m.a.s.l.) and Ollague (still active), on the Chilean border. We stop at the mirador of volcano Ollague, still active and sheltering one of the world’s highest sulfur mines. We then skirt the Chilean border going south following the “Road of the jewels”: lagunas Cañapa, Hedionda, Ch’arkota, Honda, sanctuary to three varieties of Flamingoes. The track continues on through the beautiful scenery of the Siloli Desert where our hotel is located. 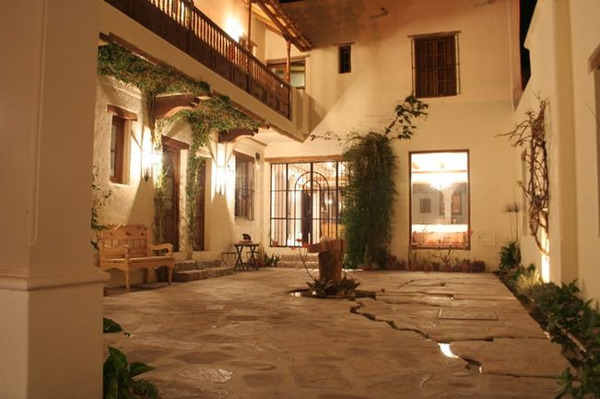 Night at the Hotel del Desierto***. 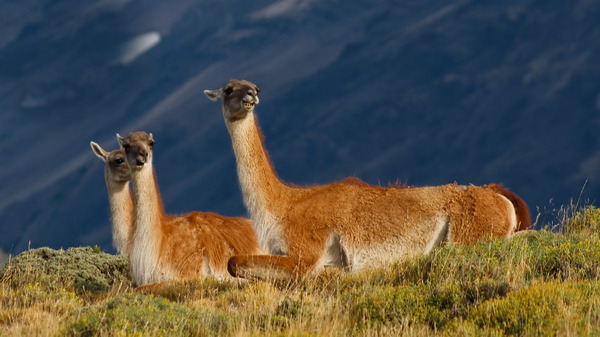 We will drive south through the superb landscapes of the Siloli Desert and its famous “Arbol de Piedra” where we may spot some viscachas, to arrive to the Laguna Colorada. The view from the Mirador is breathtaking. We will then visit the Sol de Mañana Geysers (el. 4850 m.a.s.l. ), a volcanic crater from which sulfuric fumes and heavy water escape. We will stop at the Polques thermals before getting around the Laguna Salada and crossing the Dali Desert (which indeed looks like one of his paintings). 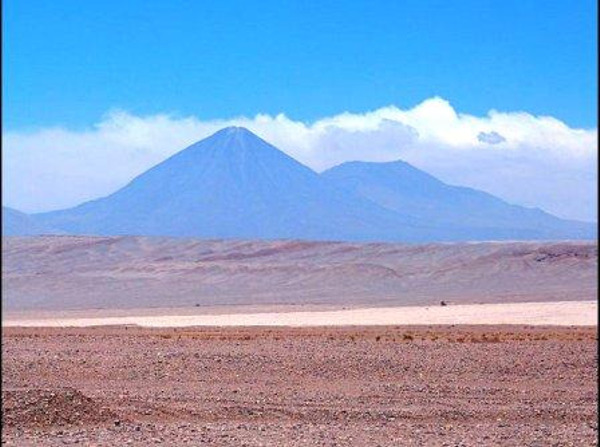 We will reach the Laguna Verde, at the base of the volcanoes Juriques and Licancabur (el. 5960 m.a.s.l.) before midday and see there the curious phenomenon of the wind rising up and changing the color of the Laguna Verde into a spectacular emerald color. 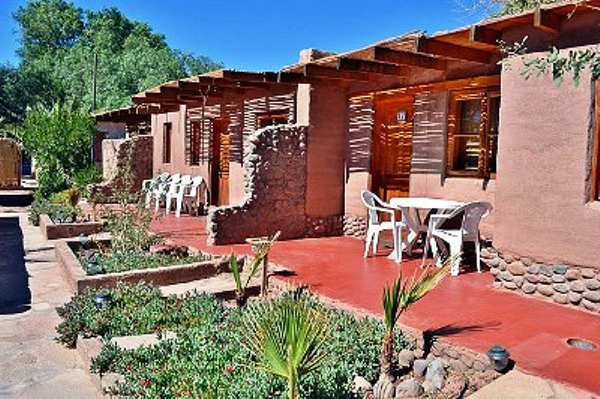 We will cross the Bolivian border early in the afternoon at the Hito Cajon post and drive down to San Pedro , a refreshing oasis in the burning hot Atacama Desert. Early in the afternoon you pass the Bolivian border at Hito Cajón. 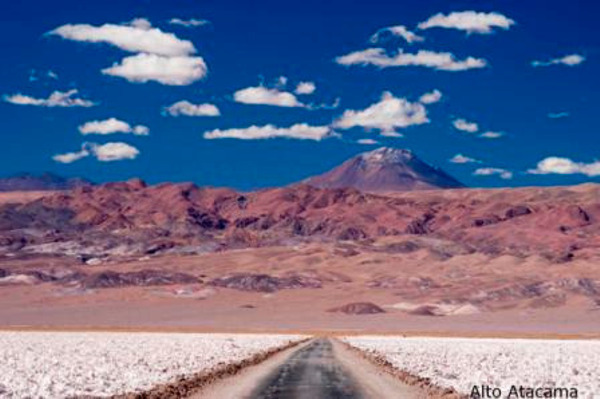 An hour drive takes you to San Pedro de Atacama. Night at the Takha Takha Hotel in a superior room **. 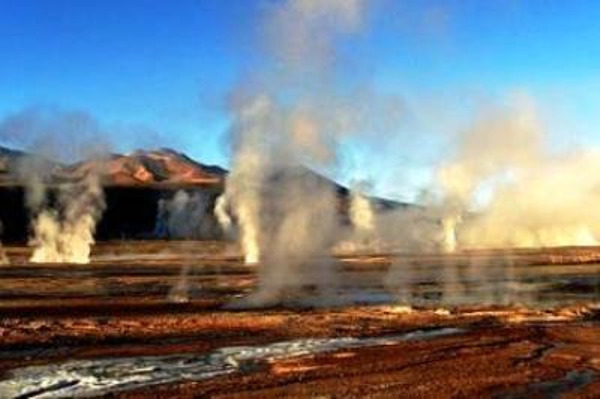 Departure between 4.30 and 6.00 (time depends on the vehicle, the number of passengers and the season) from the hotel towards the Tatio. 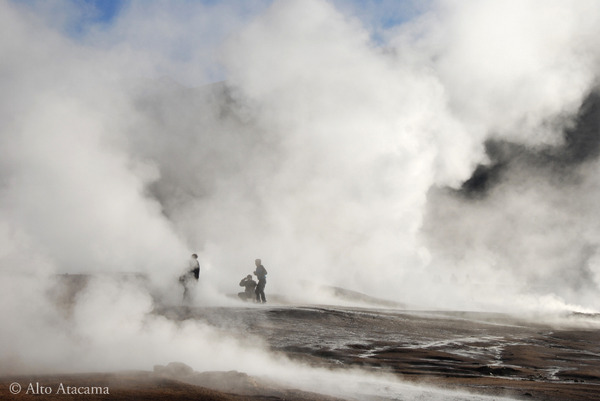 You will arrive at the perfect time to admire the sunrise and the geysers roaring in the cold air of the Altiplano. The valley looks like a giant pot. Water spurts here and there. This geological curiosity mixes a ground still frozen with boiling hot clear water springs (70°C/160°F). Observation of numerous volcanic formations. After a few hours, return to San Pedro via the Machuca Valley. In the middle of the afternoon, departure to the Cordillera de Sal (salt mountains) and the Moon Valley to have a walk in a magnificent landscape made of sand dunes and sculpted calcareous mountains. 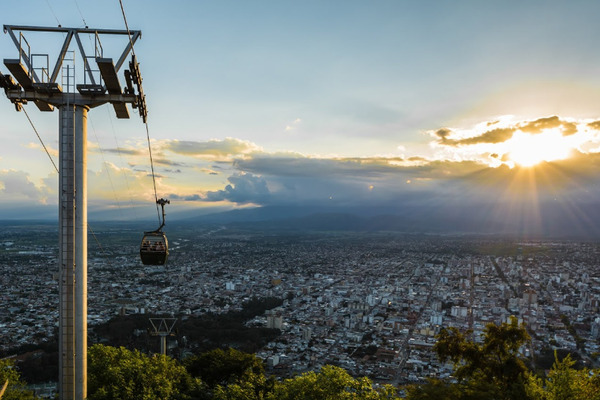 Make sure you watch the sunset project amazing colors over the tortuous scenery before going back to San Pedro. Transfer in a private vehicle from your hotel to the bus station. Regular bus from San Pedro de Atacama to Salta. 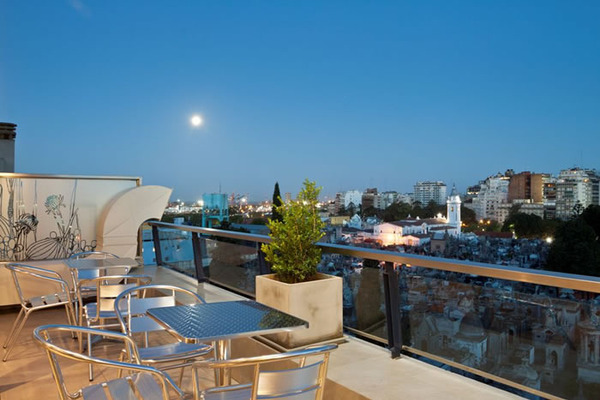 Sileo Hotel Boutique Cultural is a comfortable and warm space, placed in the very heart of the most luxurious and selective Buenos Aires neighborhood. From our delights to our spa every single detail was planned thinking of the most demanding host. Come to enjoy an exceptional time in an exclusive cultural complex as Sileo Hotel is. Get immersed in the Argentinean culture by discovering detail by detail the new concept we are betting on: personalized attention, exclusive cultural furnishings, comfort, framing in an space dotted by art, books, conferences, films, music and more… Everything for you..
Delvino Boutique Hotel is the first wine-themed hotel located in the heart of the city of Salta, and two blocks away from Balcarce’s walk and the station, where the "Train to the Clouds" departs. 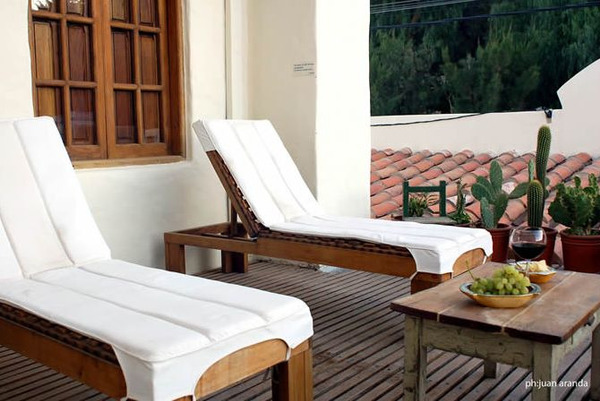 The exquisite combination of the magic of nature lained in an urban space, the silent memory hidden within the walls of an old house remodeled, and Salta wine enthusiast charm, Delvino Boutique Hotel makes an ideal place to combine pleasure, relaxation and business. Each room is unique and takes the name that characterizes its decoration, as the suite Torrontés, Cabernet and Malbec, among others. 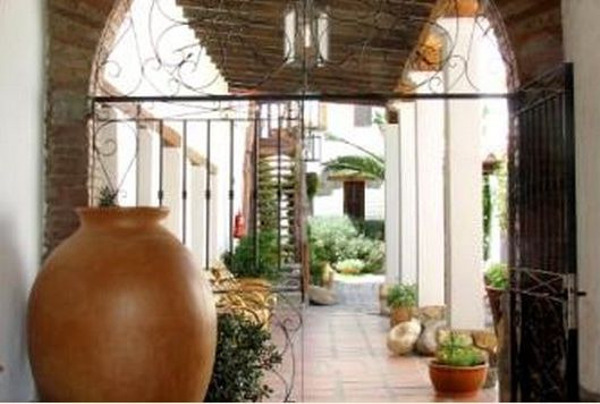 Delvino Boutique Hotel is the perfect Gateway Welcome to the beginning and the end of the wine roads. 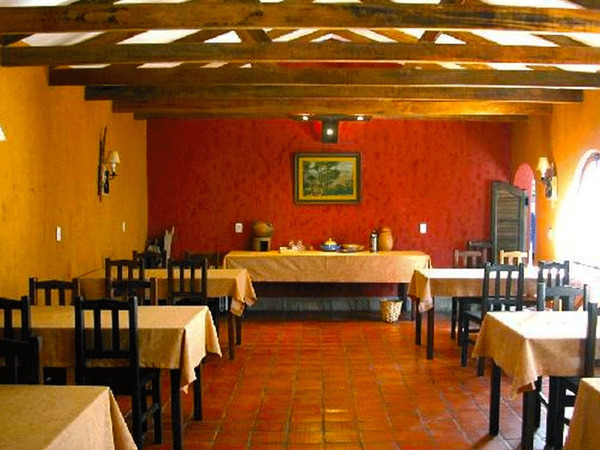 Enjoy a warm atmosphere, an exclusive Andean stile kitchen, an ideal site to contemplate art and nature and our personalized and kind service. 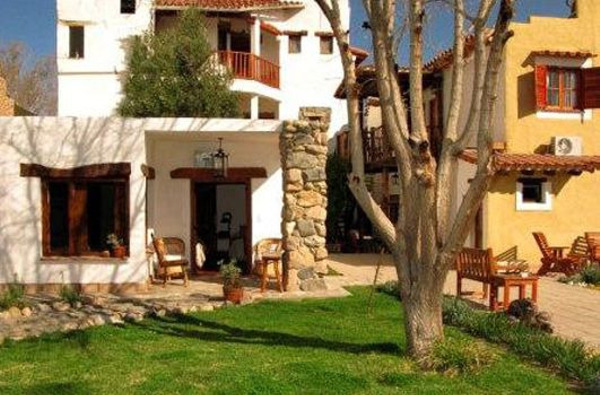 The traditional family Bergesi´s villa became what today is a charming hotel, adding comfort and modern installations to the original building. 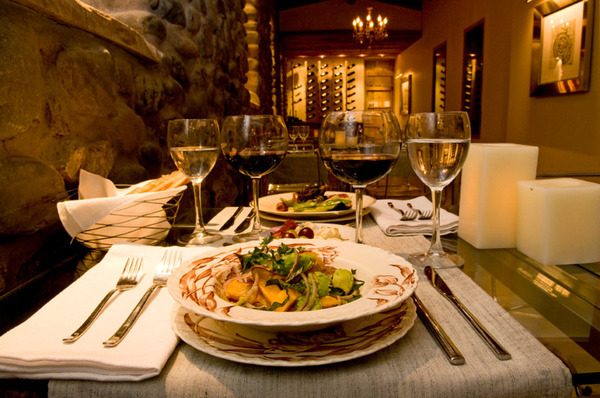 The restaurant Catalino “chef author, wines and conserved food” is where the cook exhibits his style, adding to the regional kitchen his gourmet touch. 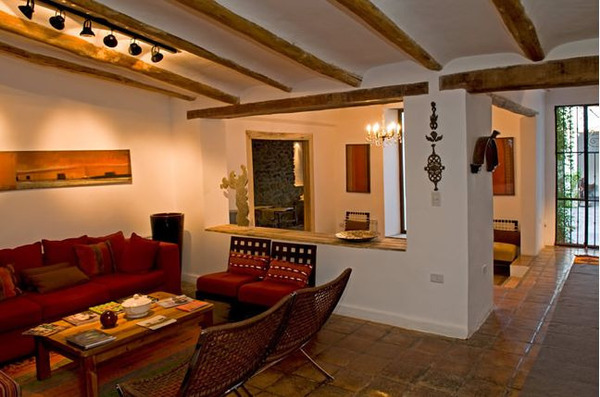 The hotel rooms maintain the original architecture and materials like adobe, natural stones, wood and cane with old furnishing combined with regional paintings. 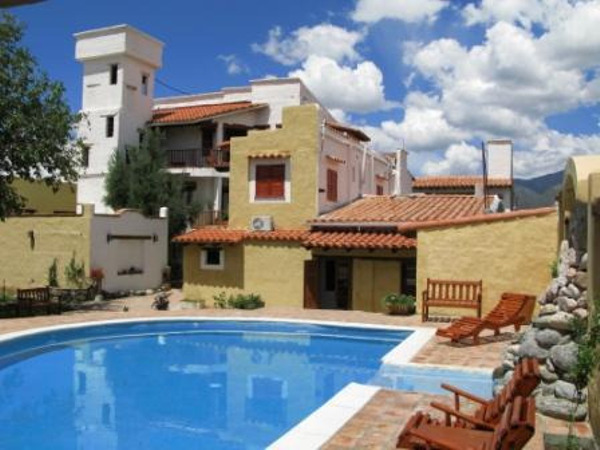 Killa Cafayate is a hotel de charme located in the heart of town. 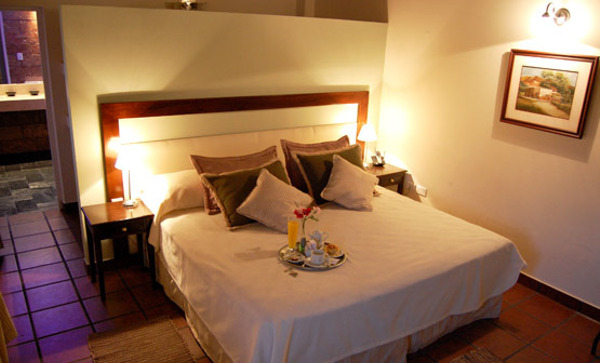 Developed after an old colonial house it is today a hotel with own character and a very particular style. 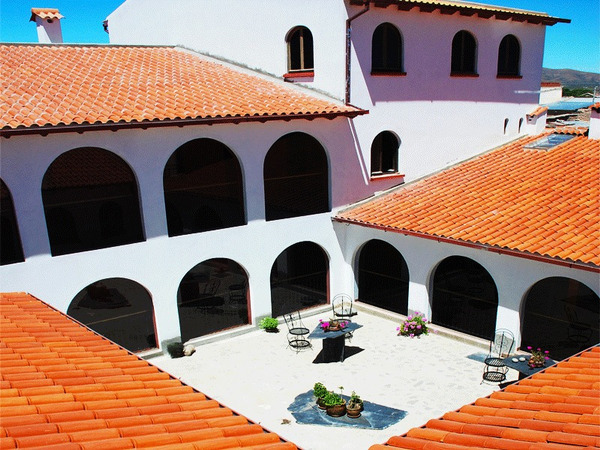 It is a place to rest and encounter with ample guestrooms, fresh galleries and colorful gardens. Decorated with exclusive artisan designs, invites to enjoy its history and present with unique hospitality style. 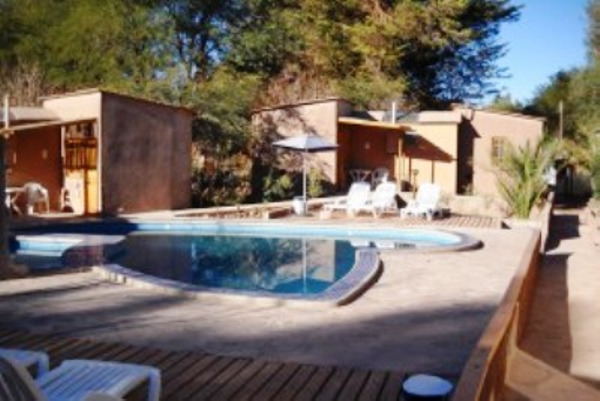 Cabañas Los Colorados is a complex of bungalows, which are located in northwestern Argentina, in Jujuy Province. 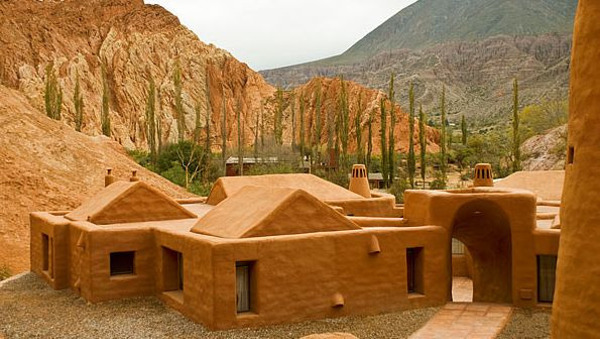 The Cabañas el Colorado are located in the "Quebrada de Humahuaca" declared "World Heritage" UNESCO 2003. Located at the foot of the seven color hills (western) within the magnificent tour of the "Paseo de los Colorados." At 500 meters of Purmamarca's main square. 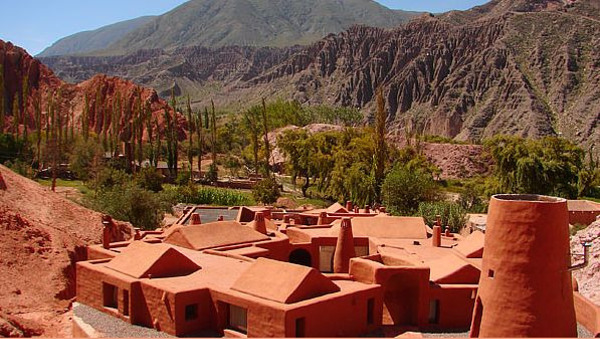 The Cabaña de Sal is a nice little hotel built with salt blocks coming from the salt flat lake. 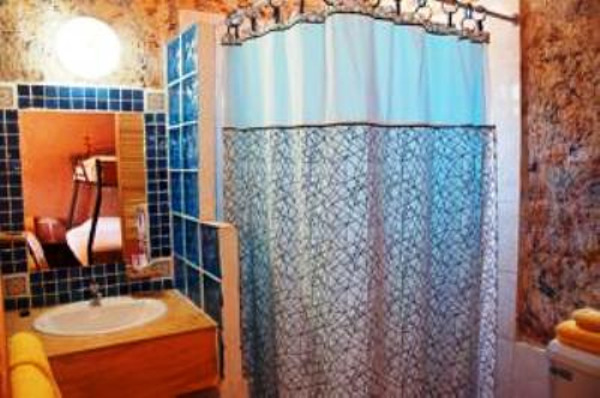 The rooms are comfortable with private bathroom and hot water. There is no heating in the rooms. 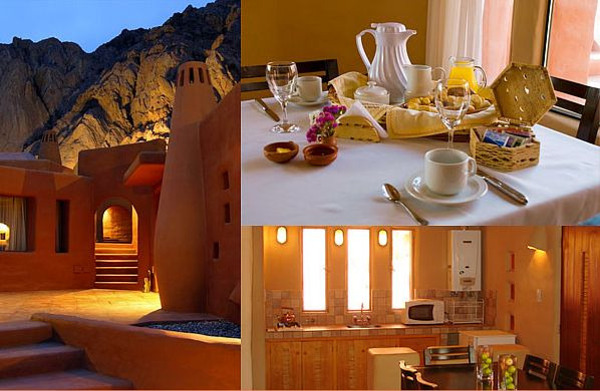 The Tayka Desert Hotel is located in the heart of the Siloli desert. Volcanic rocks were used for the walls and the architectural design has been specially choosen to withstand the intensity of the winds of the region. 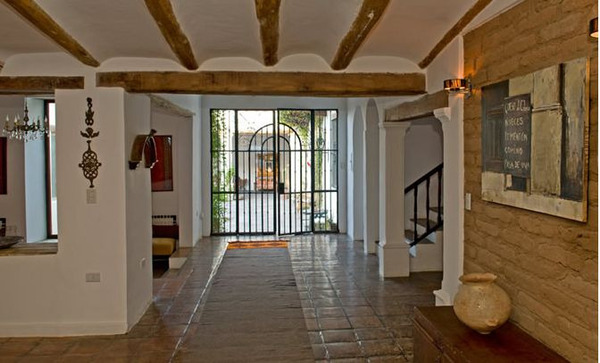 Takha Takha was built in accordance with the aesthetic and tradition of San Pedro. 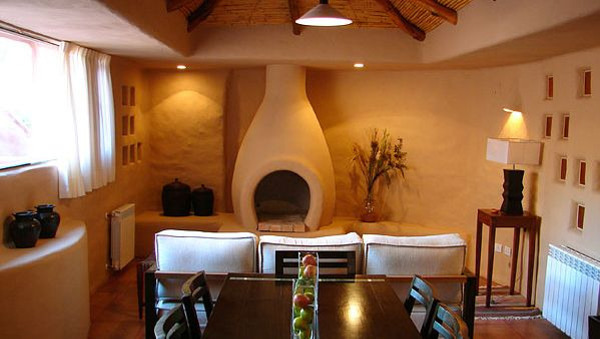 Its comfy rooms made of adobe, wood and stone allow a natural temperature balance during day and night. 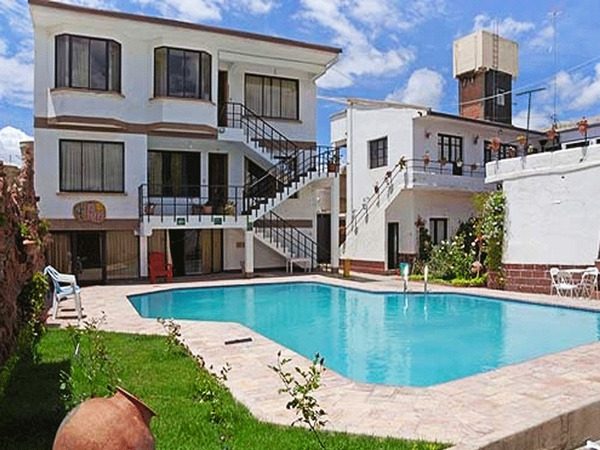 The hotel is ideally located in the middle of the town within an area of 5.000 m2, which guarantees silence and tranquility. Note: San Pedro is located in the middle of the Atacama Desert, and the water available can be limited. Thank you for understanding this peculiar situation and acting accordingly.